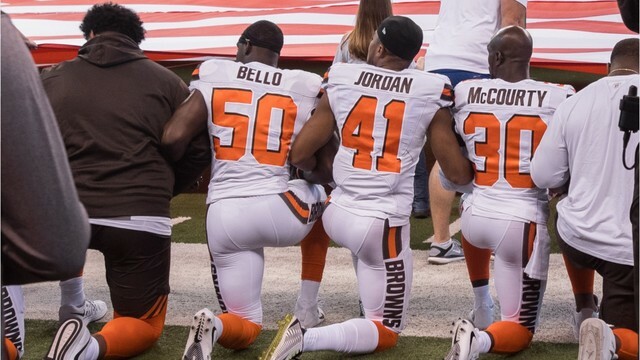 Following President Donald Trump's comments on NFL players sitting and kneeling during the National Anthem, more than 200 players knelt, sat or locked arms in protest of the President's comments. President Donald Trump criticized some in the National Football League Friday night at a rally for Alabama Republican Senate candidate Luther Strange , saying team owners should fire players for taking a knee during the national anthem. Trump said NFL owners should respond to the players by saying, "Get that son of a b**** off the field right now, he's fired. He's fired!"